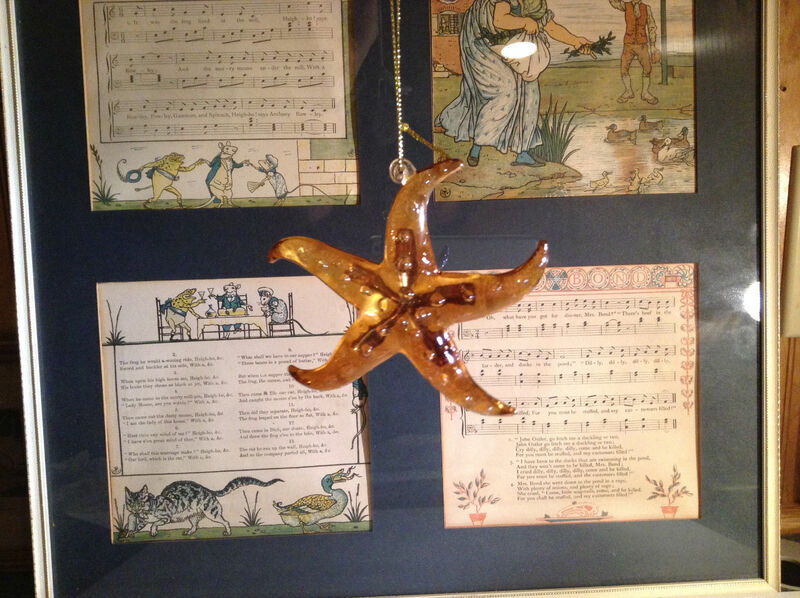 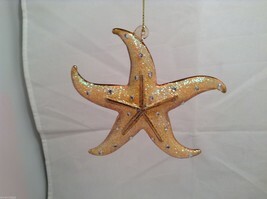 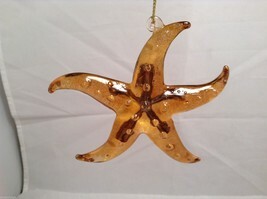 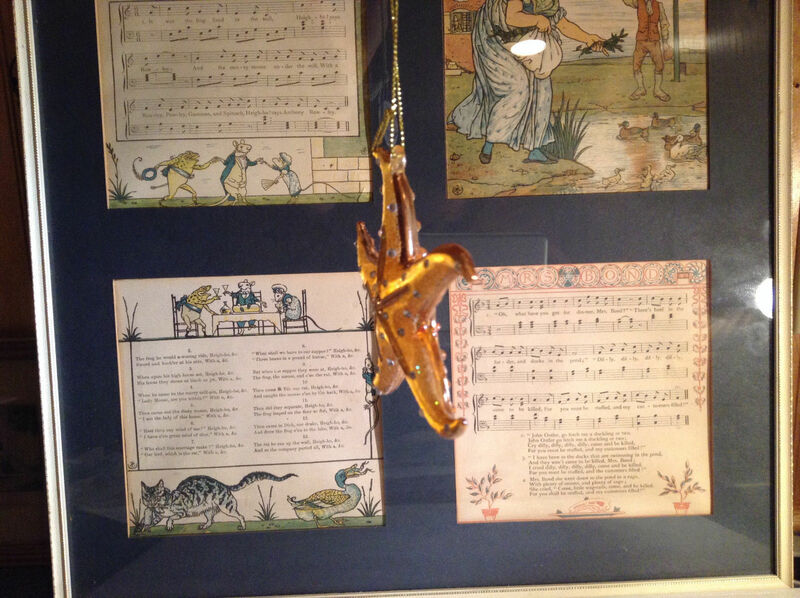 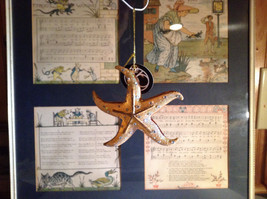 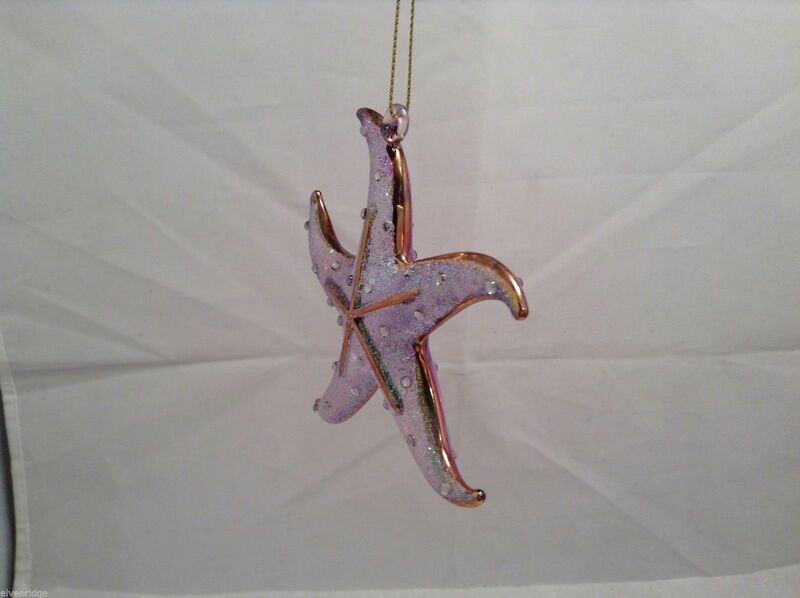 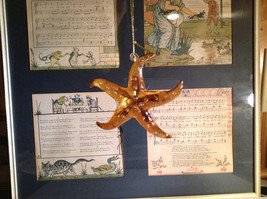 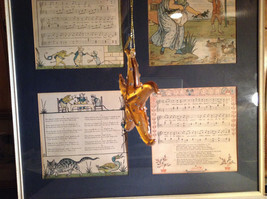 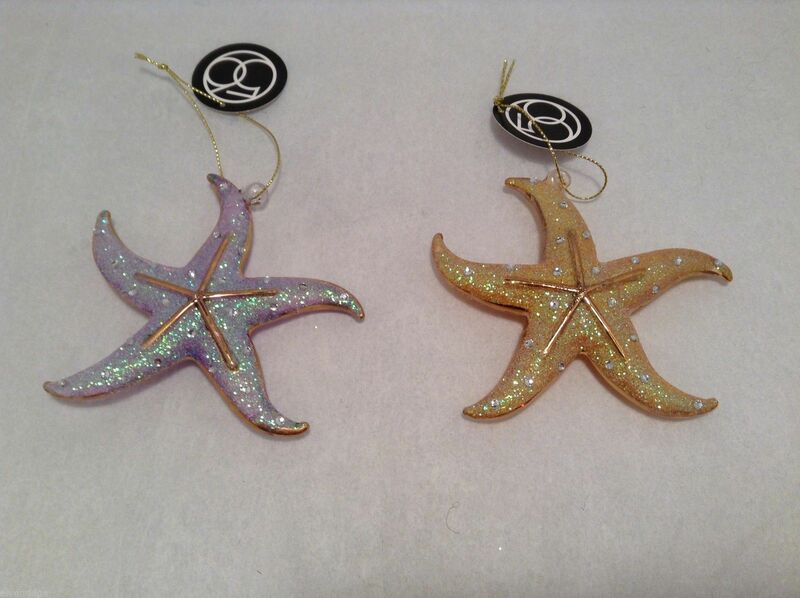 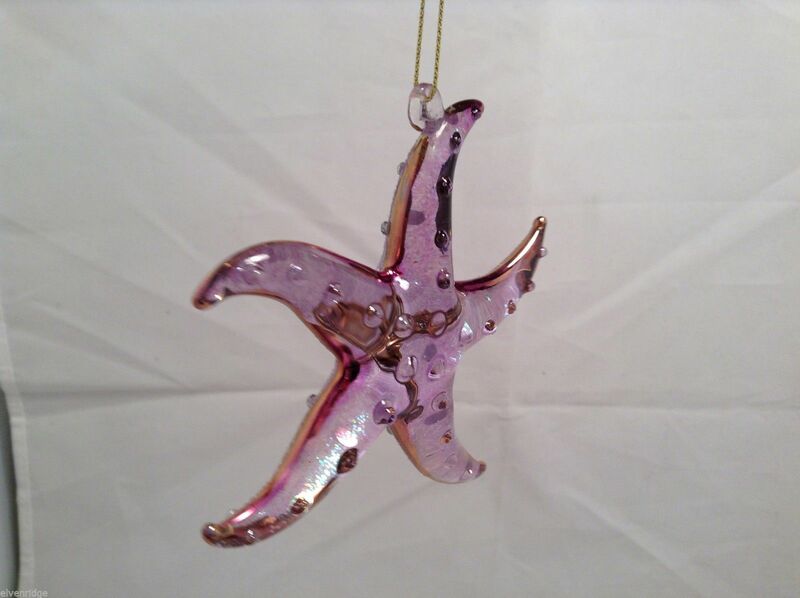 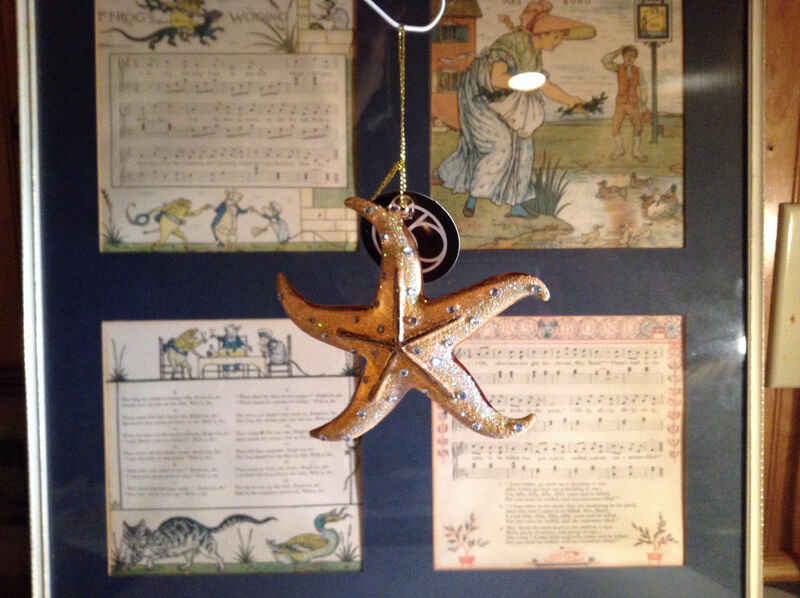 Dazzling Gold Tone Frosted Holiday Starfish Ornament . 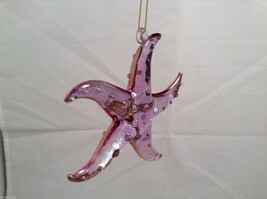 Colors: orange (1 left), light purple (2 left). 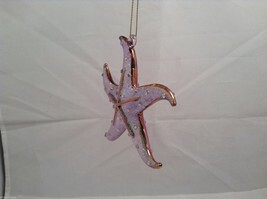 You will get one starfish for this price.